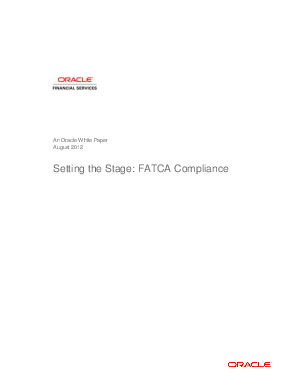 The Foreign Account Tax Compliance Act (FATCA) stands to transform the global tax framework and the way that financial institutions track and report on their clients’ financial assets. With the law slated to go into effect in 2013, financial institutions around the globe realize they must prepare for the changes ahead. Learn how to manage the daunting tasks of assessing current compliance architecture, including Know Your Customer (KYC) and Anti-Money Laundering (AML) procedures and systems; defining new structures, roles and processes; and identifying the IT solutions required to ensure cost-effective and complete compliance.